Posted on 12, February 2019 by EuropaWire PR Editors | This entry was posted in Electronics & Machinery, France, Healthcare, News, Pharma & Biotech, Switzerland, Technology and tagged 25KHz, 30MHz, Aix en Provence, CB scheme, COFRAC, electromedical equipment, French Accreditation Committee, HIFU Equipment, IEC 60601-2-37, IEC 60601-2-5, IEC 60601-2-62, IEC 62127-1, implantable medical devices, ISO 14708-1, ISO/IEC 17025:2005, large frequency bandwidth, medical device, membrane hydrophones, precision scanning system, SGS, test equipment, transducers, ultrasonic exposure, Ultrasound Diagnostic Equipment, Ultrasound Field Measurement, ultrasound measurement, ultrasound power meter, ultrasound systems, Ultrasound Therapy Equipment, wideband PVDF needle. Bookmark the permalink. GENEVA, 12-Feb-2019 — /EuropaWire/ — The French Accreditation Committee (COFRAC) has just accredited SGS’s ultrasound measurement laboratory in Aix en Provence. In fact, it is even the first lab of this type in France to gain accreditation by COFRAC. Accreditation comes as a guarantee for SGS’s capability to evaluate products for compliance with national regulations and international standards in every major medical device market. The purpose of SGS’s ultrasound measurement lab is to measure the acoustic output of the ultrasound systems. It relies on three-axis table composed of a precision scanning system, high performance wideband PVDF needle and membrane hydrophones suitable for a large frequency bandwidth ranging from 25KHz to 30MHz. Furthermore, the laboratory has also in place an ultrasound power meter meant to measure the ultrasound power output of diagnostic or therapeutic transducers up to 30 watts. The team that runs SGS’s laboratory in Aix en Provence is very experienced in the field of ultrasound measurements, electromedical equipment safety and regulatory affairs. 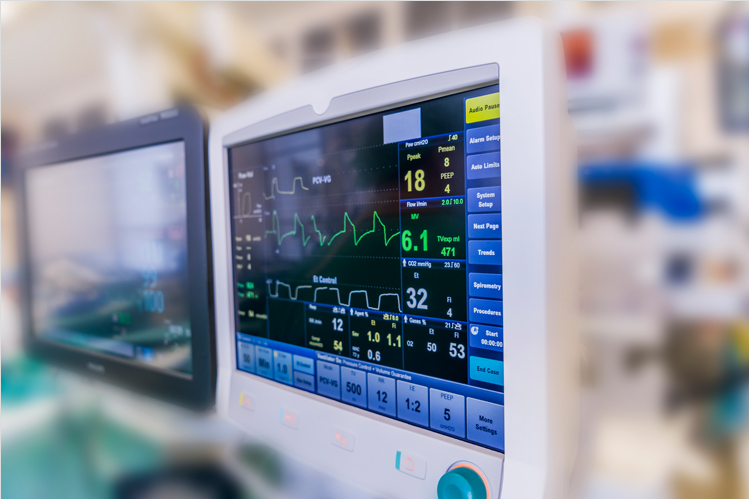 In general, IEC standards for electromedical equipment do require ultrasound measurements and testing can only be done with specific and accurate test equipment and conducted by specialized and accredited laboratories. International IEC standards govern the medical equipment that use ultrasound for diagnostic or therapeutic applications and are as follows: IEC 62127-1 for Ultrasound Field Measurement, IEC 60601-2-5 for Ultrasound Therapy Equipment, IEC 60601-2-37 for Ultrasound Diagnostic Equipment and IEC 60601-2-62 for HIFU Equipment. Additionally, the standard ISO 14708-1 covers and defines the specific requirements for testing of active implantable medical devices for immunity against ultrasonic exposure with the aim of characterization and measurement of ultrasound fields emitted by the transducers. SGS’s ISO/IEC 17025:2005 accredited lab covers the testing requirements of over 53 countries around the world providing all the tests and measurements required for compliance to the standards IEC 60601-1 and the CB scheme.